As you know if you've been reading here lately, I’ve returned to my visual observing roots. The telescopes I’ve been using most for that have been my two Dobsonians, an 8-inch f/5 of Konus heritage, and Old Betsy my 12-inch truss tube telescope who was once, long ago, a Meade StarFinder. Both are good telescopes, but, frankly, the 8-inch is sometimes a little small for my compromised backyard and the 12-inch a bit of a pain to set up for my less formal observing runs. What about something in-between, I thought, like a nice 10-inch f/5 Dob? Since we’ve moved to the suburbs, I’ve pretty successfully focused on selling/giving away telescopes rather than acquiring more (I still have an RV-6 I’d like to find a home for locally), so I didn’t feel guilty about bringing a new one into the house. Luckily for me, there’s no shortage of bargain 10-inch Dobsonians. Synta and GSO, the two big Chinese telescope makers, have seen to that. If you want to keep the price down, both have 10-inchers to tempt you. Synta selling under its own SkyWatcher brand and to their heretofore main outlet, Orion (Telescope and Binocular Center), where Syntas are sold under that company’s logo in a variety of configurations ranging from basic push-to scopes (what I had in mind), to Orion’s “Intelliscope” DSC rigs, to full goto and tracking equipped versions. Then there is GSO, who markets their Dobsonians under the Zhumell brand and to a few independents like Alabama’s Opticsmart, who tweak and tune the GSOs as the Apertura Dobs. Oklahoma's Astronomics also occasionally dispenses them under their Astro-Tech brand as well. Normally, however, Zhumell, is distributed by that Internet sales giant Hayneedle from their telescopes.com outlet (plural, singular is Orion’s website). The Apertura Dobs were a natural, I thought, but had a couple of strikes against them. Opticsmart is in Alabama, so I’d have to pay sales tax. Also, while I admired the extras of the Aperturas, flocking and other such niceties, I wanted to keep the price as low as possible. I liked the white tubes of the Astro-Tech Z10s, and Astronomics is an outfit I've bought from frequently over the last 20 years, but, as is common with their Astro-Tech brand lately, the Dobs were out of stock with the website mentioning a "waiting list," which didn't sound good to impatient me. How about Orion? Certainly an OK choice but for two things. Their cheapest house-brand Synta 10-inch , the XT-10 Classic, is 600 bucks, 100 more than the comparable GSO and also a little plain Jane compared to the Zhumells. There is no question you get more for your money with the GSO Dobsonians, beginning with adjustable tension altitude bearings that are considerably more sophisticated than the XT10’s spring-attached-to-the-bearings-trope balance aid. Said altitude bearings on the GSOs can also be moved forward or back with reasonable ease to cure most imbalance problems. One thing that may give prospective GSO purchasers pause is the fact that the Dobs use a lazy Susan bearing for azimuth rather than Teflon pads on Formica. More on this shortly. It’s in the fittings and accessories that the GSO scopes really pull ahead. The two-speed Crayford of the GSOs is clearly superior to the single speed unit of the Orion. The Z10 10-inch features a 50mm RACI finder that’s quite a step up from the Orion’s red dot job. There’s a battery powered fan to speed cool down with the Zhumell—that’s an extra cost option on the Orions. 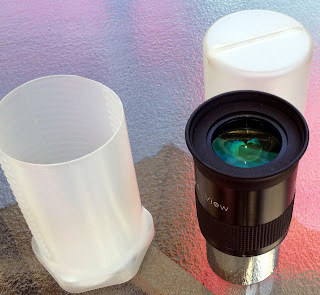 There are two eyepieces shipped with the Z10 including a 2-inch 30mm that is not bad as a finding eyepiece I was given to understand (the Orion comes with a single cheap 25mm Plossl). Oh, and the GSOs even sport laser collimators. Another alternative would have been Synta’s series of collapsible SkyWatcher Dobsonians. While these are rather nice instruments, they had one thing against them. Prices. 699 for the 10-inch while fair and all—the scopes are unarguably more attractive and better accessorized than the Orions—was at the limit of what I wanted to pay. I was also not convinced the collapsible nature of the scopes would add much value for me. An upper cage assembly that slides along three truss poles does make the 10-inch more compact, but a 10-inch f/5 just ain’t that big to begin with. Synta/SkyWatcher has also introduced a line of traditional, non collapsible Dobbies. These were just coming on line however, and didn’t seem widely available. At at any rate, they didn’t seem to have features that would impel me to choose one over a GSO. So a Zhumell Z10 it would be. When I’d made my mind up, there was really no drama involved in ordering. I got on the Telescopes.com website, turned over my credit card number and I was done. The scope was 499 with free shipping, but I elected to spend a little bit more for FedEx ground service. The final damage was just a smidge, and only a smidge, over 500. The most significant thing about my order? The way Hayneedle just has its act down. I ordered the 10 on Thursday morning and it was on our porch Saturday afternoon. This is the third item I’ve bought from these people and their service is unparalleled no matter what you buy, whether a nice mid-century modern clock like the one over our mantelpiece, or the Happy Hand Grenade 100-degree AFOV eyepiece I got from them a couple of years ago. The only thing I was a little worried about was whether they’d get the big 10-inch to me in one piece. There was a hole in the OTA’s box when it showed up Saturday just before 4 p.m., but the inner carton had not been penetrated and all was well. With Dorothy’s help, I got the two boxes (one obviously containing the mount) into the Sunroom, the usual site of my equipment assembly. How difficult was the procedure? Not difficult at all if you’ve assembled Ikea furniture or similar. I did make one mistake with the front board of the rocker box and had to back up a little at the very end, flipping the board around so the handle mounted to it was secure. Mostly, the way to proceed was clear once I downloaded the scope’s manual. Yep, there isn’t one in the box, you need to download and print a .pdf. There’s also an assembly video which is really all you need to ensure success. Actually, there’s not a lot to do nor a lot to go wrong when assembling the mount. 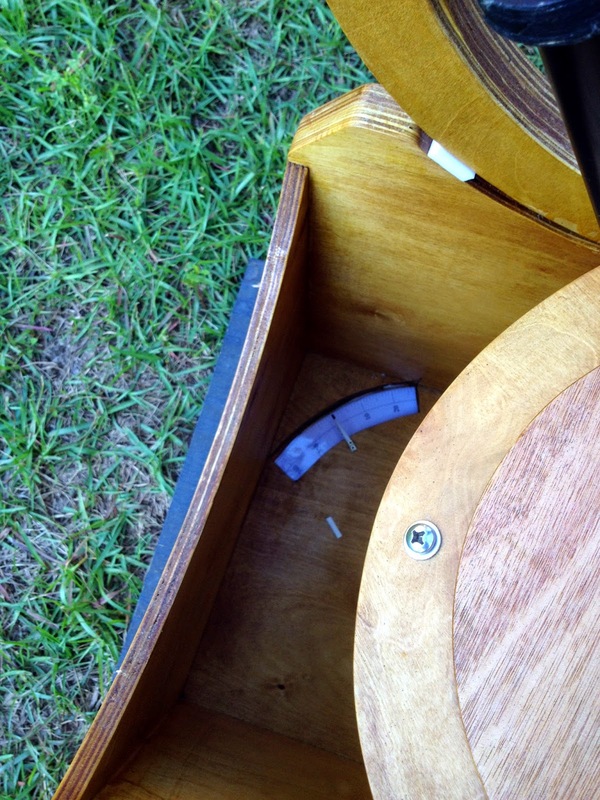 Rocker box sides and front go together with long screws in pre-drilled holes. 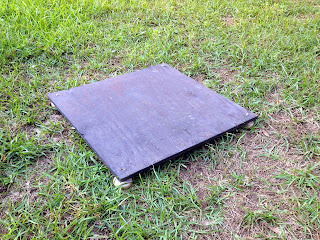 Three feet go on the ground board. Rocker box and ground board go together with a pivot bolt. There is one thing about the mount you may or may not like, which I hinted at above. The Synta Dobs still rely on the traditional Teflon and Formica for the azimuth bearings of the scopes. The GSOs, on the other hand, use large lazy Susan bearings. How much you will like this arrangement depends on you. I’ve always preferred super easy azimuth motion, but some folks will not like it. This is both a point in favor of and against the GSOs depending on your perspective, as all their Dobsonians use this bearing system for azimuth. Time to get to the good stuff, the big OTA and its accessories. I assembled the tube with the side bearings at their mid positions (zero on the provided scale) as a starting point. 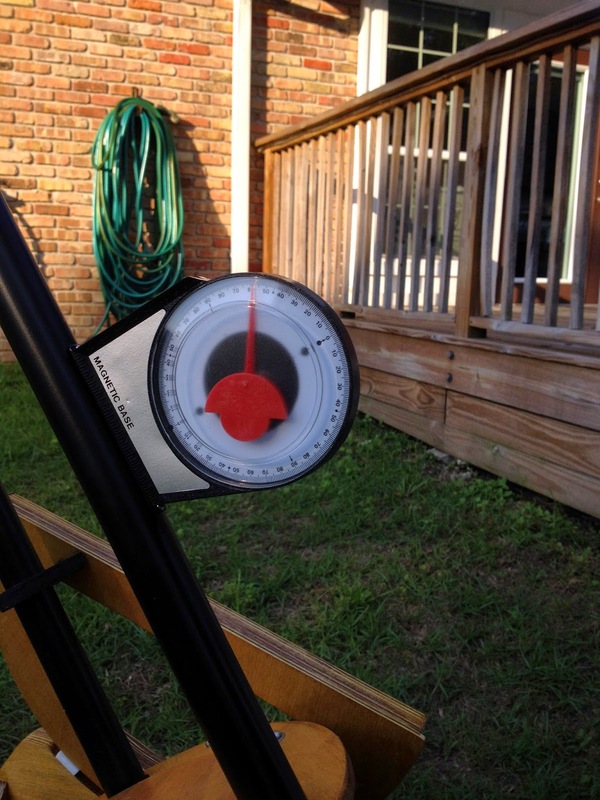 You must remove tube from rocker to adjust the bearing positions, but that isn't a big deal. I then horsed OTA into rocker. 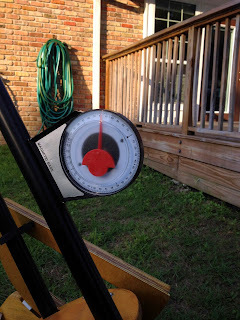 Make no mistake, yes, this is just a 10, but a 10-inch solid tube (steel tube) Dobsonian is not exactly lightweight. Make sure you want to handle one or back off to an 8-incher. Minor complaint? Like my old friend Pat, I've come to believe after all these years that white is the best color for a telescope tube. Thermally cooperative. Doesn't show fingerprints easily. Looks clean and elegant. Nevertheless, all cats, and even Newtonians, are, like the Z10, black in the dark, so I guess black is OK too. Naturally I needed to collimate, to align the optics of this f/5 telescope so it could perform its best. I had heard tales about the accuracy or lack thereof of the included laser, so decided to leave that for later, and used my good old Chershire/Sight tube to dial the scope in. The secondary (adjusted with Phillips head screws, unlike the Synta scopes, which use Allen head screws) needed minor tweaking, which was also all the primary required. The bolts for the primary are serviceable and consist of three knob headed and spring loaded adjustment bolts and three knob-headed locking bolts. Naturally, as with the old push-pull cells, the lock bolts have to be tightened sequentially and by the same amounts or you change the collimation set by the adjustment bolts. I ruled the collimation of the scope very easy. Surprisingly so. Bob’s Knobs are available for both secondary and primary and I may take advantage of that option depending on how the telescope holds collimation. Stronger springs are another option that Scopestuff and other sell, but I thought the springs worked OK. The primary is center-dotted with a small paper reinforcer, and its position looked OK to me, contrary to what some buyers have reported in the past. I didn't remove the primary cell to check the mirror restraining clips to make sure they are not too tight—another problem some buyers have reported—but the star test didn't reveal signs of that, so they are apparently OK.
Once my Z was together and collimated, I spent a little while admiring her. Again, the big deal was how much how little money gets you these days. I had quite a pile of STUFF—eyepieces, mirror cooling fan battery holder, laser collimator, Moon filter—on the table next to the Z10. However, the only true test of a Dob is under the stars, naturally. Amazingly it appeared I’d get first light on this first night. The storms that have been plaguing us had abated. Sometimes I do get lucky. And lucky I was on this night. The new telescope mostly cooperated. I always expect a commissioning period, a time of getting the kinks out of a new instrument. Usually, my first experience with a new scope is more frustrating than exhilarating. There didn't seem to be too many kinks to get out of the Z10, however. For the most part, it just worked. There wasn't that much eye candy on display thanks to a large and gibbous Moon, but Jupiter was a spectacle, with the Great Red Spot sharp and clear. Luna was also beautiful as she always is. I scanned around a little for some DSOs, but the mosquitoes were terribly fierce after the rain and the lack of a zero power finder meant I didn't turn up much. Still, I've had more aggravating first lights for far more expensive telescopes. How about a star test? The seeing sucked despite high humidity, but from what I could tell on Arcturus, the optics are fine and my rather casual approach to collimation was sufficient. Jupiter was probably a better test, anyway. I've observed the King enough over the years to know how he should look in a good 10 - 12-inch scope, and when the seeing settled once in a while, man did he look good. Mucho detail. I also took a gander at Venus, who was her usual mysterious veiled self, but sharp nevertheless. There will always be a few problems at first light for any telescope. The Z10's focuser is fine, but my Ethoses wouldn't come to focus without the 1.25-inch adapter that came with the scope. There just wasn't quite enough out travel. A couple of other 2-inch eyepieces were on the hairy edge, too. Not unusual for a store-bought Newtonian, but a little trying. I hate having to pull an eyepiece out for it to focus. I will collimate again this morning, pulling the primary as far back as possible. If the 13 and 8 Es still won't come to focus without the adapter, I'll buy a 2-inch extension tube for the focuser, I suppose. Otherwise, the focuser's action and the 2-speed feature worked well--very well indeed. This is a long way from the Chinese rack and pinion focusers of yore, y'all. I was happy with the azimuth motion once I cranked down the knob on he pivot bolt. Some of you would still think it is too easy, however. I was more impressed by the azimuth setup. With sufficient tension on the knobs on both bearings, any eyepiece I tried balanced with the scope. This is much better than springs or beanbags or welding magnets, folks. Biggest impediment on this evening, however, was the lack of an easy to use finder. I've got a Rigel Quickfinder mounting base on order. A 50mm finder, even a RACI finder, is difficult for me to use, heavy moonlight or not. I need that zero power reticle floating before the stars I can see with my naked eye, not the confusing groups of suns revealed in an optical finder. Most of you will likewise want a Telrad or Quickfinder base. One more mosquito bite and I'd had enough, covering the Z with one of my Desert Storm covers and heading for the Den where I turned on Netflix and ended my evening in appropriate fashion with Season One of the History Channel's Universe. What has changed and what hasn't changed in the intervening three and a half years since the telescope who became known as "Zelda" came to live with me? When it comes to the Synta and GSO telescopes themselves, not much. The models I mentioned here are all still current. Different accessory lineups come and go, but even those have remained much the same. What has changed is where you can buy a 10-inch GSO Dobbie, and how much any of the 10-inchers in this class are gonna cost you. First things first, Hayneedle sold its telescopes.com website/business. That continued on for a while, but is now either gone or mutated into a website called "Telescopes Plus" (typing "telescopes.com" takes you to Orion). Honestly, I don't know the complete story, and trying to keep up with the affairs of Chinese telescope sellers is, yes, like herding cats. Suffice to say, however, these folks are selling the GSO 10-inch Dobs under both the Zhumell and Apertura labels. Unlike, before, however, the Aperturas apparently don't offer any of the mods that originally brought them to my attention. They seem to be exactly the same as the Zhumell-branded scopes now. Beyond that, I know nothing of Telescopes Plus. If I do learn more I will clue you in. As for the Synta bunch, whether SkyWatcher or Orion branded, the 10-inchers are also pretty much the same as they were when I wrote this in the late spring of 2015. What has changed? How much you will pay whether you buy GSO or Synta. Oh, I know the miniscule amount I spent, $499.00, was plain crazy, but it's still somewhat disturbing how much the fare has risen. While I haven't visited every website nor checked for sales at Orion, it appears that at this time a basic no-tracking/no-goto/no-DSC 10-inch will set you back about 600 bucks--and unlike when I got Zelda from Hayneedle, you'll probably pay a fair amount for shipping. This is still a heck of a deal for a 10-inch telescope, of course. Why the increases? Well, when I bought, the price for a telescope of this aperture and generously equipped with accessories seemed artificially low. I also wonder if the tariff foolishness has had an effect. And it's not all gloom and doom either. 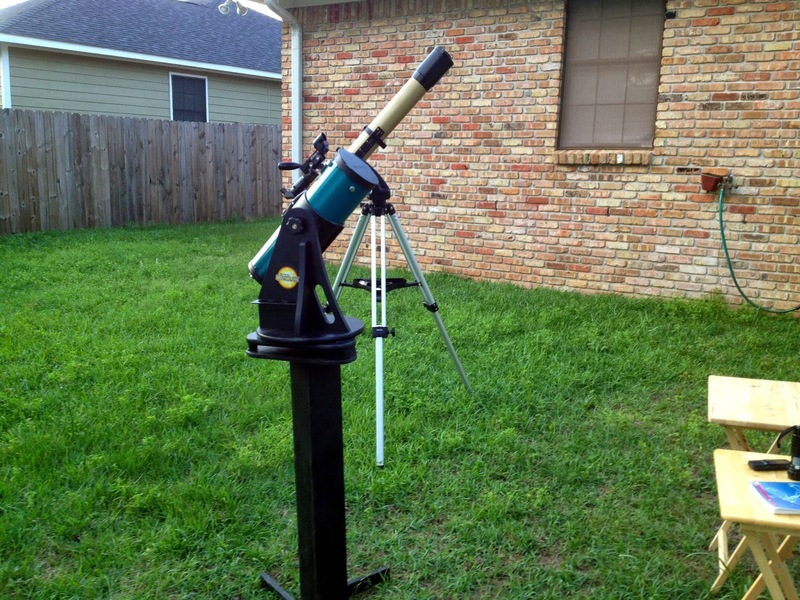 While the basic scopes have gone up in price, it appears SkyWatcher has held the line on its fancier models. The collapsible tube 10-inch, for example, is still at 699, making it a more attractive possibility then when I bought Zelda. Back then it was almost 200 more than the basic GSO 10er. Today, Telescopes Plus charges 699 for the exact same scope and accessories I got. How about my Zhumell, good old Zelda? She is keeping on keeping on, just like me. I will admit I haven't used her that much over the last year, but with the coming of fall, improved weather and (probably) me starting on a new visual deep sky observing book, I believe that will change. Which is the opposite of the direction we are supposed to be going in in amateur astronomy and everything else. We are supposed be going paperless. However, I am experimenting with that opposite, temporarily at least. As I said not long ago, I will not give up my favorite applications like SkyTools, Deep Sky Planner, and AstroPlanner (more on the latter soon). Still, books appeal to the desire to simplify that has taken hold in me of late. Also, it is nice not to have to disconnect the computer and drag it outside. Why would I have to disconnect a computer to take it outside? Why not just use my astro-laptop? I lost my desktop, a nice Toshiba all-in-one, the other day when its hard drive crashed. Should I run out and replace it immediately? Or just tear it open and replace the failed drive? I wasn’t sure. To tell you the truth, I am tired of Windows. Tired of the constant updates. Tired of the frequent revamps of the o/s. I didn’t much like Windows 8, and didn’t think I’ll like 10, either. I decided I'd use my Win 7 laptop as my primary computer while deciding what to do. I’d begun to think my eventual direction might be a switch to a Macintosh desktop and, when the Toshiba laptop, my astro-computer, dies, to an iPad or a Macbook for use in the field. But I decided not to do anything right away. It will be a busy summer. This fall, if everything remains as it is now, maybe I’ll travel to Huntsville’s Apple Store (we don’t have one here in Mobile) and get a nice shiny iMac. Till then, I’d use my old Win 7 netbook for astronomy. Which worked, sort of. SkyTools and DSP run on the little atom processor powered thing, if not well. Not well at all. “You know, Rod,” I thought, “there are still these things called ‘books.’” Books, star atlases, are a longtime fascination for me. I like maps, and thought it might be nice to use ‘em again for a while. The only question was "Which atlas?" I've got most of the mainline atlases and decided I wouldn't mind buying one more if I thought something I didn't have would serve better. Buying a book, after all, is much less stressful than buying and setting up a new computer. 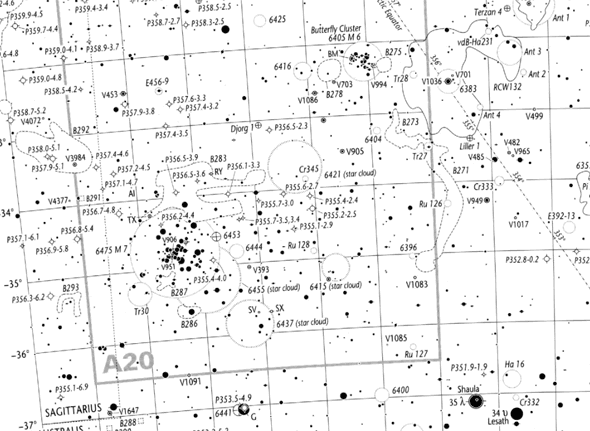 One thing was sure no matter which star atlas I chose, even today "print" has its advantages. You don’t have to charge a printed book's battery, print atlases are relatively cheap, and they go deep enough for most purposes depending on the volume in question. Funny thing, too? Despite the supposed superiority of computer star maps, we are living in a golden age of the star atlas with more available than ever before. There are a couple of out-of-print MIAs, but you may be able to get even those from Amazon or Abe’s. Before we outline what I have used and intend to use and what you might want to use if you decide to follow me, let’s talk about what we don’t want to mess with. That is 6th magnitude atlases, whether the original Norton’s Star Atlas, one of its reworked descendants, or any other book that only shows star down to magnitude 6. These works are OK for 10 x 50 or smaller binoculars, but that is it. They do not show enough stars to make star hopping to objects easy—or sometimes possible—even with a 3-inch telescope. Yes, I know many of us Baby Boom Astronomers have fond memories of Norton’s; it was for many of us our first serious book of charts. But do you remember how much easier finding stuff got when you upgraded to Skalnate Pleso (in some sense the antecedent of Sky Atlas 2000, youngsters)? This one, by Roger Sinnott, is my current favorite grab and go atlas. While it’s too large for the pocket of your jeans unless your name is “Incredible Hulk,” at 6 by 9-inches it is nice and compact and easily stashed. There is a copy permanently stationed in the top compartment of the fishing tackle box I use as my small equipment case. Its small size does not mean it is not a powerful tool, however. This is a big step past Norton’s. Pocket goes down to nearly magnitude 8 and includes 1500 deep sky objects. More often than, not, that is all I need, even with my 12-inch scope. Despite its compact size, the atlas does not sacrifice readability. The charts are clear and legible with dark stars on a white sky—which most observers find easier to read than the opposite under dim red light—and appropriate use of color. Hard to best this for 20 bucks. Single downcheck? I wish the index of constellations were on page one. Other than that it is hard to find fault with Pocket. I love it. After Skalnate Pleso came Sky Atlas 2000 by renowned celestial cartographer Wil Tirion (who I had the pleasure of dining with at one long ago Peach State Star Gaze). It is much like the old S-P; but has more of everything. More stars, more deep sky objects, and, importantly, it was the first widely available atlas for Epoch 2000. As time went on, it was produced in versions to fit every taste. What I used for years was the Desk Edition. Despite its name, I found it more useful outdoors than the Field Edition, since it featured black stars on white sky, the reverse of Field. It was on heavy stock, and was never harmed by even my heavy dew. The size is generous, 18 x 32, and with a limiting magnitude of 8.5 and 2700 deep sky objects, this has been my bread and butter atlas for years. As normally sold, the charts are separate, unbound sheets (the Field Edition is the same). I fastened mine together with binder clips which worked fine for years. Not fancy enough? You can step up to Sky Atlas 2000 Deluxe. It is (spiral) bound, in color, and for many folks is all they will ever need. Like Desk, it is white sky/dark stars and is one of the more legible sets of charts I have encountered. You can actually take another step up, and buy Deluxe (or Field or Desk) with laminated charts. Frankly, I discourage that choice. The normal paper pages are heavy enough that they, as above, have never been harmed by my heavy Gulf Coast dew. There’s one other beauty of non-laminated. You can write notes on your charts, a big benefit of paper. You can’t do that with a laminated copy without resorting to dodges like grease pencils or erasable markers. My pick is “Deluxe, unlaminated,” which will set you back about 60 bucks and which is worth every penny. Mr. Tirion didn’t rest on his laurels after SA2000. In addition to contributing to other projects, he did the cartography for the next step up, Uranometria 2000. Tirion, Will Remaklus, and Barry Rappaport’s work was, when it debuted, one of the most absurdly deep atlases most of us had laid eyes on. Its stellar limiting magnitude is 9.75, and the DSO count is a full 30,000 for the 18 x 12-inch book (that’s the size of each double page chart). Is there anything bad to say about U2000? Not really, other than the fact that at this level of detail you are beginning to push the boundaries of what is practical with a book. You probably won’t want to use U2000 by itself. Doing that would involve a lot of page flipping whether you have the original two-volume edition or the current “pole to pole” one volume version (my choice). You use it in conjunction with SA2000 or another broad coverage atlas of your choice for close-ups when needed. 60 dollars will get you the single volume U2000, and another 60 will get you the companion “Field Guide,” which contains catalog data and object lists and is somewhat useful. Flipping between two books, SA2000 and U2000, doesn’t sound like much fun? 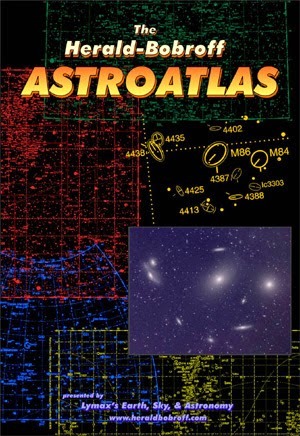 There is an alternative, or at least their used to be, the Herald – Bobroff Astro Atlas (1994) from Australia. It is notable for three things: its large size (12.5 x 16.5-inches), the amount of information contained in its pages; and its inclusion of six series of charts,. Certainly, being big is a help. This atlas, which, as is usual for observer’s atlases, has white skies and black stars, is eminently readable, moreso even than SA2000 Deluxe, and is perhaps the most easily readable atlas I’ve used. The pages are glossy, heavy, and very dew resistant. Those big pages are also jammed with symbols that convey a wealth of information about objects. So much, that you may not normally need other reference materials. These symbols and labels are easy to read, but their variety and numbers mean you tend to forget what they are. The H-B does have a handy card that helps you decipher them, however. When I use the atlas reasonably frequently, it’s no problem to figure out what it is trying to tell me. There’s no denying, however, that the atlas’ big draw is that it covers the sky three separate times, with each series going into more detail. For crowded areas like Virgo’s Realm of the Galaxies, there are three more series. You begin with “A,” which is comparable to Norton’s and is mostly useful for rough navigation, move to “B” which is your “Sky Atlas 2000,” and wind up with “C,” which is comparable to Uranometria, all under one cover. When you need help with difficult areas, the three extra series are there to aid you (though most of their coverage is invisible to us Northern Hemisphere observers). Herald – Bobroff, which I bought not long after it was published, is my “serious” atlas; it is for those times when SA2000 is not enough. Unfortunately, by the time I bought it, Megastar has come on the scene and I was deserting paper. I may use it much more now than I ever have if my present mood continues (which I believe it will), though. Can you? Likely not. The original version has been out of print for ages. It comes on the used market occasionally, but you can bet you will pay far more for it than its original $90.00 price. Lymax Earth and Sky sold a reprint in slightly smaller format for a while, but even their version has been out of print for years. Shame, since H-B is one of the greatest print atlases every produced. If not the deepest. There may be salvation at hand for those of you who want Herald-Bobroff. It’s the somewhat similar German atlas Interstallarum. It doesn’t feature H-B’s series paradigm, but it goes deep, down to magnitude 9.75, is large, and is, like H-B, packed with informative symbols, maybe even being an advancement over Herald-Bobroff in that regard. Millennium is and will likely remain the penultimate non-photographic star atlas. How could it not? 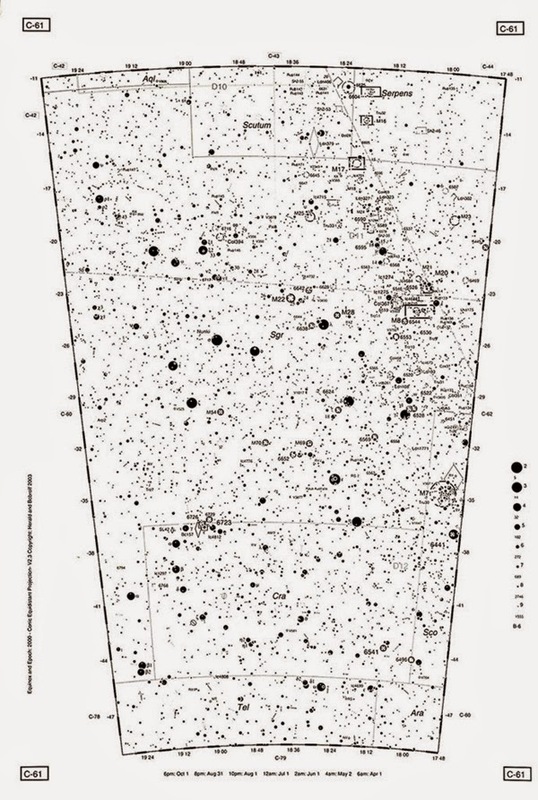 Roger Sinnott and Michael Perryman’s atlas, based on the catalog produced by the ESA’s Hipparcos satellite, contains 1548 charts showing one million stars and some 10,000 deep sky objects. These charts are contained in three fat volumes, and the white-sky/black-star charts are printed on (necessarily) rather thin stock. The physics department where I teach astronomy owns a copy of Millennium, so I can use it whenever I choose. Alas, those times are rare. The scale of the atlas is 100-arc seconds per millimeter for the entire sky, not much different from the view in a C8, but it turns out that is too much. For me, Millennium's small scale makes it too confusing to navigate with under dim red light. Yes, the pages show the field visible in the C8, but it is mirror reversed, naturally, from what I see in my SCT—no print atlas can help with that. Even with a larger scale atlas to assist, it is not overly pleasant to use Millennium. The atlas’ thin pages stand up surprisingly well to dew, but to say they are as dew resistant as those of the inexpensive SA2000 would be wrong. Most of you won’t want to take the Millennium plunge anyway. It is currently out of print, and used copies can sell for over 1000 dollars. Finally, we have semi-print atlases. They are not usually available for purchase printed, but can be downloaded as .pdf files and printed by you. Most are also free. The most outstanding one so far is probably TriAtlas by Jose Torres. It is certainly ambitious, going to freaking magnitude 12.5 and is packed with 11,000 DSOs. While its computer generated maps certainly don’t rival those of Tirion, it is very clearly plotted and if you don’t mind printing hundreds of pages, might be just the thing. There is an even deeper one by Martin Meredith, an insanely deep one, one that goes down to magnitude 18, for God’s sake. However, with a scale of 14-arc seconds per millimeter it is not designed to be printed out (the full set of charts would cover an acre and you would still need a magnifying glass to read them), and not printing out kind of misses the point here, doesn’t it? Still, this might be nice for someone who wants the depth of a modern computer atlas without running a computer program to get that. So what will I use? 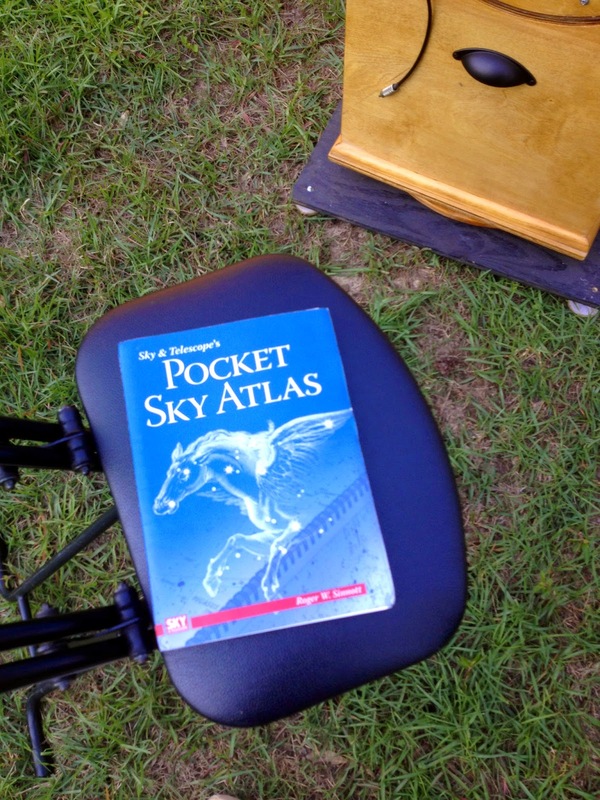 I won’t always use a print atlas, even when I’m exploring the sky in my new-found simplistic matter. I will usually be back to Skytools, or Deep Sky, or Deep Sky Planner, or AstroPlanner. However, for those fairly frequent occasions when I foresee I will want to forego the silicon sky, I will likely use Herald-Bobroff. I think so, anyway. We’ll take a few test runs to see if I need to fall back on the even more "simple" of Sky Atlas 2000—stay tuned. 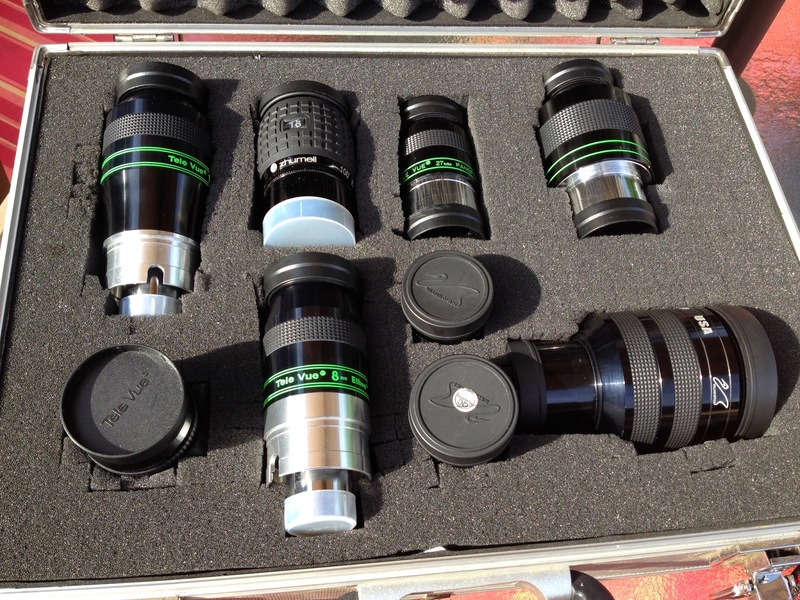 What’s in MY Eyepiece Box? Since, as you read last time, I am undertaking a return to visual observing, I needed to round up some oculars. It only took a little searching to turn up my battered old Orion eyepiece box in a corner of the Sun Room’s closet. I blew off the thick layer of dust, opened the lid (to the accompaniment of a sound like the opening of the Adams Family’s front door), and had a look. My (primary) ocular collection, such as it is, is a motley crew, but these eyepieces have served me well over last decade and might even do the same for you. 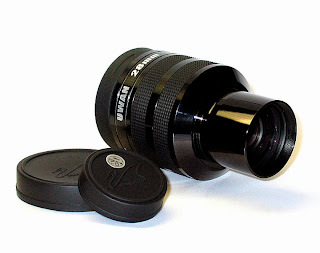 There are three eyepieces that get used more than any of the others I own, or, really, have ever owned: the 13mm TeleVue Ethos, the 8mm TeleVue Ethos, and the 16mm Zhumell 100. My Ethos story began in 2007, which started out in rather ho-hum fashion eyepiece-wise for me and everybody else. TeleVue was still the king of the hill with their Naglers, which were much the same (despite incremental upgrades) as always but as good as they ever had been. One thing had changed: the 82 degree AFOV wonders were increasingly being challenged by imported eyepieces (the Naglers were and are made in the Far East but are designed/QAed here). Not just by Meade’s recently updated 82-degree series, but by upstarts like the William Optics Uwans. Was TV going down? Not hardly. In early 2007, at NEAF, the world of amateur astronomy, visual amateur astronomy anyhow, was rocked by TeleVue’s announcement of a new line of oculars, the Ethoses, which would feature 100-degree apparent fields, besting even the legendary Leica 90-degree ocular. We were further told these eyepieces would do that with panache, matching any wide field on the market for control of aberrations. What do I remember next? Pat took a look and started squawking. At first I thought [he’d] aspirated a pork rind. It soon became clear from his wild gesticulations, however, that he wanted me to look through the eyepiece. I did. And I was a goner. (W)hat struck me first was not the 100 degrees. No, that was the last thing I noticed. The first thing that hit me was M43’s dark lanes. There is no doubt that Chiefland is dark, has great transparency, and has stable seeing, but I have rarely seen the dust lanes criss-crossing M42’s little comma-shaped companion stand out [better] than they did in this eyepiece on this evening. What else? The high contrast all across the field. And the tiny, sharp stars edge to edge. The incredible sharpness, as a matter of fact, of everything in the field. There was no point in ruminating further. I was sold. Giving an astro-merchant my credit card number after we got home so I could have my very own 13mm Ethos (Pat ordered one before we even left the CAV) hurt, but it was worth it. Was it ever. Not just optically, either. This eyepiece is built to the very highest standards, will last a lifetime, and has the convenient 1.25-inch/2-inch barrel format TV abandoned for a while. Only down-check? Like all TeleVues, it “features” the safety undercut on the barrel, which always hangs up on my diagonals' and focusers’ compression rings. Once I had the 13mm, I was surprised at how little I needed anything else. With a Barlow, the TeleVue Big Barlow, in Old Betsy, my 12-inch Dobsonian, or with the Denkmeier Power Switch diagonal in the SCTs, I could cover most observing situations with a single eyepiece. Nevertheless, I thought it would be nice to have a shorter focal length ocular, and, let’s face it, I was in the grip of Ethos MANIA. I’m sure I’ll take some flak from the Ethos nay-sayers, but at the risk of being dubbed an “Ethos Elitist,” yes, swapping back and forth between the 13 Ethos and 13 Nagler, I was slapped in the face AFOV-wise. Going back to a “mere” Nagler was very similar to my first experience with Naglers: the Nagler ruined my Erfles and Plossls for me, and the Ethos has ruined Naglers for me. Both Tom [Clark] and I commented that, alas, the wonderful Nagler spacewalk just wasn’t so wonderful no more. Some of you won’t like me saying this, but there it is. You may think different or think you’ll think different, but that’s what I experienced on this night. So, the 13mm covered the mid focal lengths. And now the shorter ones were taken care of by the 8mm. How about the long end? Shouldn't I spring for the 21mm Ethos? I wanted to. Sort of. Even planned to for a while. But, my God folks, I was now into Ethoses for over a grand. Another 830 clams for the 21? I didn't think so. For a couple of reasons. For one, it would vignette in my C8 and C11 with the 6.3 reducer/corrector in place. I could use the 21 barefoot, at f/10, in those scopes, but I could get a nearly identical field with the 13mm and the f/6.3 reducer. It wasn't just that, though. It didn't take long for a less pricey 100-degree competitor to appear in the form of Explore Scientific’s 20mm 100-degree AFOV eyepiece. On yet another Chiefland expedition, I had the opportunity to test the Ethos 21mm, and, better, do a shootout between it and an Explore 20mm. Not only was the ES less than half the price of the Ethos, if there were any differences in the views it presented and those of the real deal, my middle-aged eyes weren't able to detect them. So I abandoned my plans to purchase the genuine article. Given the observing I do, which is mostly from less than pristine skies where I don’t much use longer focal lengths, I wasn't sure I could justify even the lower priced ES 20. In fact, I haven’t got around to buying it yet, though I may someday. It would still have been nice to have something a smidge longer than the 13, however. Enter the inexpensive 16mm Zhumell 100, a.k.a. 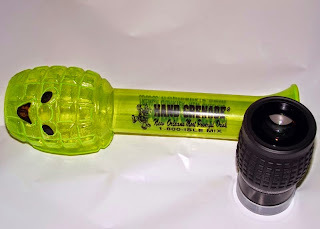 “The Happy Hand Grenade.” It’s funny how amateur astronomy has changed in recent years, how we spoiled amateurs now consider two-hundred-dollar eyepieces “inexpensive,” but that is the way of the world. Compared to the $735.00 the Ethos 16 commands, I guess the $200.00 Zhumell is cheap, though. Maybe too cheap. I realized I wouldn't be getting a TeleVue or Explore Scientific for this price (the 14mm ES was considerably less expensive than the Ethos, but way too close in focal length to the 13mm), but I did have hopes. When the eyepiece arrived, I was at least somewhat reassured. It turned out to be an odd looking affair—hence its name—but was solidly built and nicely coated. The only true test is under the stars, however. The results of which were? About 70% out from field center, the stars looked bloated in f/5 Old Betsy. At the edge they were Real Bloated. However, I tend to focus on the field center, not the edge, and the expansive AFOV still made for a breathtaking view. In my f/10 SCTs, the eyepiece is still not as good as the TeleVues or Explores by any stretch of the imagination, but it is good and I love it. To be clear, I use the 16mm on every visual observing run and it is the best 200 clams I have spent in a long while. Might an HHG be for you? That depends. If you obsess about eyepiece field edges to the degree some of the CN Eyepiece Forum worthies do (they are currently at sixes and sevens due to something they call "EOFB," which appears to be a minor brightening at the edge of the field they think they detect in some eyepieces), the Zhumell is definitely not for you. You might not be able to find a Happy Hand Grenade to buy, anyway. It seems to have disappeared from vendors inventories of late. Prices for considerably better longer focal length 100 AFOV eyepieces are continuing to fall, with those of new players like William Optics (XWA) and SkyWatcher (Myriad) dropping below the $300.00 mark now. So, you might want to hold off even if you can find a 16 Zhumell for sale. I liked Naglers, you liked Naglers, we all liked Naglers. Well, except for their prices, which were always up there and always painful. Oh, like you, I still paid those prices. The 12mm Type II was one of the best oculars I've ever owned. The Nags were expensive, though, no denying it. So, I was immediately drawn to a series of eyepieces that undercut the prices of the TeleVue 82s by 1/3rd or more, but promised quality that was essentially the same. The William Optics UWANs (not the name of a city in China; it stands for “ultra wide angle”) were not the first bargain 82s to hit these shores. That had begun to happen not long after the start of this new century. By then, you could get an 82-degree AFOV Mainland Chinese made eyepiece for just a smidge over one C-note, but you might not be overly happy with what you got. The prototypical el cheapo 82 of this time was represented by the 30mm 1RPD, which was also sold under the “Bird’s Eye” and “Knight Owl” and “Moonfish” monikers. Some people were actually quite fond of this big 2-inch ocular, and some still are. Mostly people with long focal length telescopes. In an f/5 Dob? The edge of your field, and I mean the field farther out that 50% from the center, appeared to be crowded with planetary nebulae. There had to be a better way and there was, in the form of the aforementioned UWANs, which were made in Taiwan (and were also sold under Orion and SkyWatcher brand names for a while). These oculars, which included a 28mm, a 16mm, a 7mm, and a 4mm, were a revelation, which is why I titled my review of them “The Night Everything Changed.” Even in this day of Ethoses, when I've sold off my Naglers, I hold onto the UWANs and use them frequently. I needn't have worried about the 28mm holding its own. There was general agreement that the 28 was “as good or a little better” than the 26 Nagler in the areas of field flatness, sharpness, and edge-quality. This was on a variety of objects, including monstrous Omega Centauri with its countless tiny, tiny stars. In fact, the only time our informal panel of testers felt that the 26 Nagler pulled ahead was in (an) f/3.26 scope, and everybody agreed that its advantage, even there, was relatively slight. The eyepiece stacked up nearly as well against the legendary 31mm Nagler. Save for a millimeter less eye relief (18mm vice 19mm for the Nag) it was pretty much a dead heat. This is probably a good time to say that if you need to wear glasses to observe, few of the ultra wide eyepieces old or new are likely to make you very happy. Things have improved of late, but the best bet is still to remove your glasses and use the scope as your “glasses” if possible. Unfortunately, the 28mm UWAN is no longer available. Mostly because it was a relatively expensive eyepiece to produce and couldn't be sold for as much as a similar TeleVue. Today, few people would want to spend what it really needs to sell for to get an overly heavy eyepiece with an 82-degree field when they can get a lighter 100-degree for the same money. I’ll admit I don’t use it often, but when I need low power and a wide field, it can still be my goto eyepiece. The rest of the UWAN crew is thankfully still in business, including what may be the standout of the lot, the 16mm. At the reasonable price of $198.00 and at one of my favorite focal lengths (Explore has a 14 and an 18 but not a 16), it is a perennial winner. Not least because of its outstanding performance in almost any telescope. The same is true of the 7mm (also $198.00), which is my preferred planetary eyepiece for Dobs. It is preternaturally sharp and the nice AFOV means I don’t have to do much nudging. I've never owned the 4mm, but I understand it is equally impressive and a good bet if you have need of such a short fl. I really hate to refer to the Pans as the “C team,” since, in most respects, they are wonderful eyepieces. They are in that category simply because I don't use them as much as my other oculars. There is a simple reason for that: I am addicted to wide AFOVs, and 68-degrees just doesn't light my fire these days. What do I have? The 35, the 27, and the 22—I've always been more impressed by the longer focal length versions of the Pans than the shorter ones. 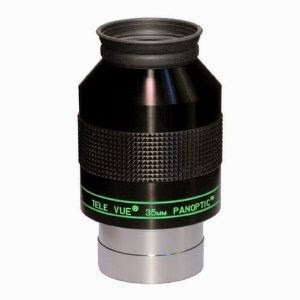 This eyepiece is here with the other Panoptics simply because it is a Panoptic. Given the amount of use I give it, I really should have put it with the A Team. It's a great one, and is my low power ocular of choice, moreso than the 28mm UWAN. It doesn't have as much apparent field as the 28, but it’s got lower power and a lighter weight, 1.9 pounds, and my 8-inch Dobsonian will handle it without immediate sinking to the horizon. Optically? Sharp, very sharp. The only problem is that it's got a lot of eye relief, 24mm, which can make eye placement a little harrowing till you get used to the ocular. This eyepiece, coupled with an OIII filter in an f/6.5 4-inch Explore Scientific achromat, recently gave me the best view of the North America Nebula I have had in my life. I don’t use it nearly as much as the 35, but the 27 is maybe even better. Again, dead sharp and a little more comfortable to use than the 35 with eye relief of a more “normal” (for me) 19mm. Some of my fondest memories of deep sky observing concern the 27 in my friend Pat’s old 24-inch Dob. Down-check? You can get an ES 20mm 100 AFOV ocular that is an outstanding performer for $329.00, so I’m not sure there is much motivation to spend $340.00 on a 27mm Panoptic any more. The 22 Pan is a good eyepiece if, in my opinion, maybe not quite the equal optically of the other two. Not quite as sharp, not quite as good field edge performance in faster scopes, but still nice enough. Why do I hang onto it, then? The everything else. It is light and has a hybrid 2-inch/1.25-inch barrel so I can use it in almost any scope, even my f/4 StarBlast (where it does OK, not great). While the 22 is no longer made, it is fairly easy to get used, if not overly common. The eyepiece box's lid closed with a thud and I did some thinking. What did I really need, what more glass would I really use? I couldn't think of anything. If I just had to spend money, it would be on the 20mm ES 100 (or one of the new WO or SkyWatcher equivalents). That would likely replace the Happy Hand Grenade, and that might be a good thing. I’ll see how well I tolerate using that eyepiece a lot in the fast Dobsonians that are my main instruments now, and will perhaps come to a decision this fall/winter. When maybe, just maybe, the weather will improve enough for me to actually see something. What’s got my observing stopped in its tracks has nothing to do with eyepieces, telescopes, or my desire to get out under the stars; it is the freaking clouds. But if you live in the U.S.A., I don’t have to tell you that. It looks like this Saturday at the club dark site will be a wash, but if I get any time in, you will hear about the first of several new visual observing projects. Another Free Comic Book Day has come and gone. Avengers: Age of Ultron is dominating Cineplex screens to no one’s surprise and will likely continue to do so for some time. Flash and Arrow and Gotham and Agents of Shield are winding down for the season. But what’s going on around here? If you read this blog regularly and closely, and especially if you are good at reading between the lines, you are aware I've been going through some changes with a capital “C” (I do not mean by that that I have cancer; I am physically in better shape now than I have been in years) the last several months. I won’t bore you with the details. I will just say they are significant and have affected many things including the way I practice astronomy. Where have I been in (amateur) astronomy the last 5 – 7 years? I’ve been almost exclusively in the imaging camp. The closest I've come to visual astronomy, usually, has been observing with a deep sky video camera, with one of my Mallincams. 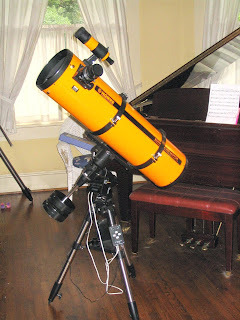 Even out in my backyard, my normal setup has included a telescope on a computerized goto mount, a camera, a laptop computer, often a monitor and a digital video recorder, and assorted and numerous cables and power supplies. Lotta stuff. But I was having fun, and my sensitive cameras allowed me to get through The Herschel Project’s 2500 or so deep sky objects more quickly than I’d dreamed I could. I’ve done some crazy stuff with my Mallincams and DSLRs, from observing quasars out on the edge of creation last February down in Chiefland, to getting the best comet photos (of Lovejoy) of my life. I was used to setting up all the astro-stuff and observing with a monitor or computer instead of my eyes, and didn't mind it a bit. Until I did. During the Chiefland trip, it became clear my observing habits were, like other things in my life, going to change. Like some other things, they needed to change. In fact, they had to change if I were to continue to observe. This might have happened anyway. I've always swung back and forth between visual looking and more technologically complicated modes of amateur astronomy, and I had been on a big-time imaging jag at least since 2010. But there is no doubt the changes I was going through accelerated my return to eyepieces. So, I found myself ready—nay, anxious—to go back to a simpler sort of amateur astronomy. Which I differentiate from my “casual” observing. Even at the height of my DSLR and CCD and video observing, I've used grab and go scopes like the two we talked about last week for quick peeps at the sky. When I've wanted to do serious work, however, I've dragged out the C11 and a camera, even just for observing from the back forty. It is that that will change. I wanted to go simpler. No cameras. No computers (no computerized goto mounts, at least). How would I get there? For me, “simplicity” is spelled d-o-b-s-o-n-i-a-n. 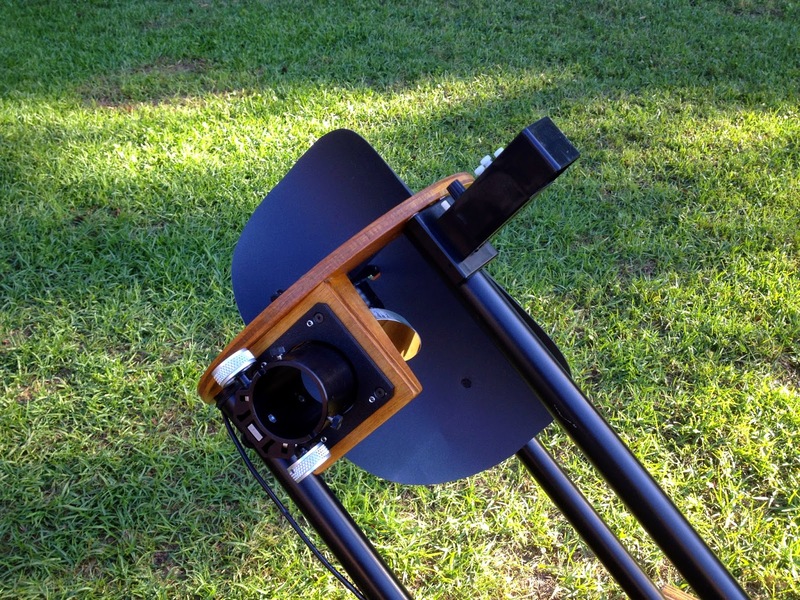 In its original and pure form, what you've got with a Dob is a Newtonian reflector on a simple alt-azimuth mount. It’s point and shoot astronomy. Want to look at something? You find it with a finder-scope, a zero-power reticle sight, or setting circles (yes, on a Dobsonian). The scope moves up and down and right and left in, if it has been built correctly, a buttery smooth fashion. There are no motors or even locks for the altitude and azimuth axes. You push the scope, it moves. You stop pushing, it stops. Yes, there are goto Dobsonians today, but not for me. I’d once embraced Dobs wholeheartedly, if for a relatively short time, at the end of the 1980s and the beginning of the 1990s. Despite having been away from the scopes for many a year, I still have a couple in my inventory with a little more horsepower than the 4-inch StarBlast. The one with the most of that is my 12.5-inch truss tube scope, Old Betsy. She’s always been a stellar performer, and despite not always using her as much as I should, I've never stopped loving the views she’s given me over two plus decades. I will no doubt be using Bets a lot more now, but she didn't seem to be the telescope for most of the backyard expeditions I had in mind, and maybe not even for many trips to the club dark site. While she’s been modified recently so that she’s a little lighter, she is still not a lightweight. Sure, I could gin up a set of wheels or a wheely-bar system for her, but, even then, getting her into the backyard sounded like work. More work that I want to devote to telescope setup at this time. That meant my other Dobsonian would be on deck—for a while, anyway. This telescope really doesn't have a name. Or at least a name that describes her in her present (elegant) form. I still call her Old Yeller. That’s because she was originally a Konus f/5 GEM Newtonian (made by Synta) who came to me with a hideous yellow-orange tube. The Konus worked well despite that garish tube, and certainly paid her way, since I did many of the observations for my book, The Urban Astronomer’s Guide with her. In the end, however, on her non-goto CG5 mount she was just too inconvenient to set up regularly once the book was done. That wasn't the end for the scope, however; my friend Pat needed a non-goto CG5 mount, so we worked out a deal. 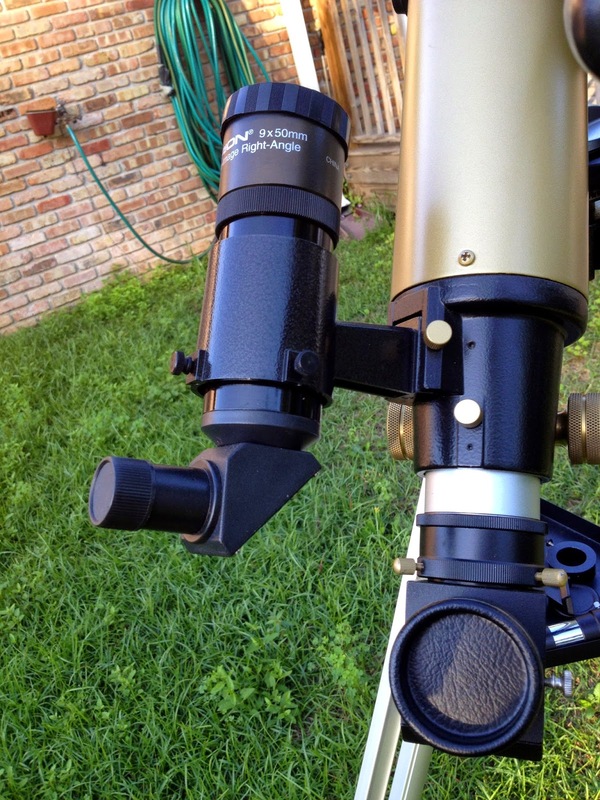 Pat rebuilt the scope into an elegant neo-Dob, and I sent the CG5 to live with him. Despite the Dob’s humble ancestry, her f/5 primary mirror is quite good indeed, giving excellent views of the planets. The Konus delivered some surprisingly good images of Mars when it was riding high in 2003, the year of the great opposition. 2003 was about the time most of us had to at least begin to admit the Chinese were beginning to produce some darn good optics. Nothing is perfect, of course, and there is a fault with the scope that needs correcting. Back when Pat and I were buying parts for the pair of 8-inch Dobs (Pat did an identical twin for himself), focusers were not as inexpensive and good as they are now. While we’d both used and liked JMI’s NGF DX3, their lowest priced true Crayford at the time, we didn’t want to spend that much for focusers for these scopes. Since the DX3 had been such a success, we figured the company’s new bargain focuser, the RCF (“reverse Crayford focuser”), would be good too. I bow to no one in my respect for Jim’s Mobile Industries. I own many of their products and just love ‘em. Except for that misbegotten RCF. It is, I’m sorry to say, just this side of junk. While well built, more or less, the focus mechanism just doesn't work right. It is always too loose at one end of its travel and too tight at the other. You can adjust it so it is workable, but it will never be nearly as good as the cheapest of today’s Chinese Crayfords. Now that I am back to the Dobs, I hope to replace it with a Moonlite, but I can deal with it as is until I can do that. Alrighty then. With a clear and dry night just before the First Quarter Moon upon me, it was time to get set up. In the interests of keeping it SIMPLE, I left my big observing table, the computer shelter, and all the other gimmicks I’ve used over the last decade in my Shop. 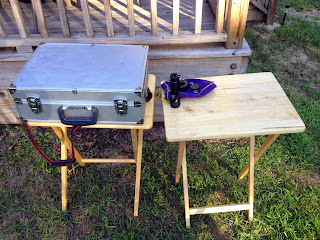 What went on the field in addition to the telescope was a couple of wooden TV tray tables and my observing chair. 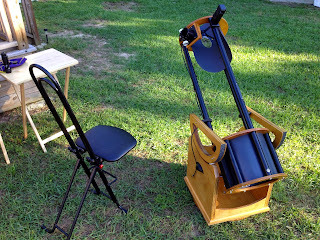 If you are going to use a low-slung Dobsonian like my f/5 comfortably, you have two choices. You can elevate it by putting the rocker base on some kind of support like the one Orion sells (for way more money than they should if you ask me). That will work if you want to stand while observing, but who wants to stand up to observe if you don’t have to? There is no doubt you will see more if you are comfortable, and the way to be comfortable while looking through a telescope is to sit. A variety of observing chairs can work with low telescopes. Heck you might be able to get a drummer’s throne low enough to serve. The best solution, though, is one of the sliding seat chairs like my Buy Astro Stuff one. This chair, sold by various merchants as a “utility” chair, will easily go low enough to make me comfortable at the eyepiece of the 8-inch when I am scoping out objects low down on the horizon. The seat has enough adjustment range, however, so I can also use it with my 12-inch. I can access the finder while seated, and only have to get up and rearrange the chair when I move to a distinctly different part of the sky. Ah, the finder. What sort of a finder would I be using for my initial foray back into old-timey observing? I A Rigel Quick Finder, the Telrad’s cousin. The QF features a Telrad-like bullseye that’s projected onto a beam-splitter glass. That makes the red LED illuminated reticle seem to float before the stars. There’s no magnification, nothing is inverted or reversed, and finding objects is as simple as can be. Why a Quick Finder instead of the Telrad? It is smaller and is in a vertical rather than horizontal format. That makes it a better choice for smaller scopes or for minimalist scopes like mine. It also offers something the unmodified Telrad doesn’t: the ability to pulse the reticle on and off, which can make it easier to position the reticle amid dim stars. If not always that easy if your skies are light polluted. The bottom line is that a Quick Finder or a Telrad or any zero-power (“unit power”) finder can be difficult to use in suburbia. Oh, some parts of the sky, areas of the sky where there are plenty of stars to lead you to your targets, are easy enough. But spots like the region between the “arms” of Virgo that are star poor can be difficult. You really want to have an optical finder (which will deliver more stars than your naked eye can see) to supplement your Quick Finder if your skies are not perfect. Unfortunately, there’s no good way to mount one on my 8-inch, but, as you’ll soon hear, I have a work-around. What was on those TV tray tables? On one went my box of eyepieces. Whether you are observing in the city or in the country, eyepiece choice is an often complicated, potentially costly, and sometimes controversial subject. It is one that deserves a blog of its own some Sunday soon. For now, I’ll just say I plunked my old Orion eyepiece case down on one of those TV tables. On the other table were my reference materials. My star atlases. If I wanted to go completely Old Fashioned, that would be a print star atlas. I did place one on the tray, a favorite, Sky and Telescope’s Pocket Sky Atlas, but that wasn’t all. There was also my netbook computer. It is a little thing, will go all night on its internal battery, and runs Deep Sky Planner and SkyTools 3 fairly well. I thought I might eventually round up my hallowed copy of the Herald Bobroff Astro Atlas, but I didn’t believe I was quite ready to give up those wonderful computer programs, and a little netbook seemed humble enough to satisfy my desire for simplicity. The Sun was soon setting and we were ready to roll, I thought. First observation? How nice it was not to have to mess with batteries or AC power supplies and cables. I do need a battery to power the secondary heater on the 8-inch, but it felt like it would be dry enough that I wouldn’t have to worry about that, which is pretty unusual down here in mid-spring, and seemed to bode well. Despite its relatively low altitude, the cluster still looked amazingly good. How could it not? It is one of the premier Messier objects. It didn’t look anything like it does from Chiefland, Florida, where it often resembles a globular rather than an open cluster, especially in a small piggybacked refractor, but it was still sweet. Even the reddish central star was obvious in the skyglow/moonlight. So it went with M36, M38, M35, M82, and a few others. I was feeling good, friends. Pumped. I hadn’t lost it after all. Or I thought I hadn’t till I decided to take a gander at M51. M51 is not exactly going to put your eye out in suburban skies. But I’d seen it easily enough from a considerably worse location, the backyard of a house half a mile from Bel Air Mall. It was just two smudges in my 6-inch f/8 back then, in the early 1990s, but was visible. Surely it ought to be more visible on this Pretty Good Night in an 8-inch from considerably better skies. Nope. What I saw was the dreaded Nuttin’ Honey. Took another look at the chart. Nudged around. Tried higher power (helps to spread out background sky glow). Nothing helped. The truth, I had to admit, was that M51 was in the worst of the light pollution, and its area is rather star poor anyway. If I’d had an optical finder, even a 30mm like on my old 6-inch, it would have been duck soup. But I didn’t have one. What I did have, though, were setting circles. I decided I’d use ‘em on M51 on the next clear night. Setting circles on an alt-azimuth mounted telescope? Yep. People have been putting altitude and azimuth circles/scales on their Dobsonians since the telescopes first became popular. There are some catches, but fewer now than there used to be. Few enough that shortly after Pat and I finished our 8-inchers, we put circles on ‘em. You can read the whole story here, but the gist is that I found a Cloudy Nights thread with links to .pdfs of degree circles. I had access to a large format plotter (work) and printed a couple of circles for our scopes, and Pat did a nice job installing them. He sandwiched the azimuth circles between the scopes’ rocker boxes and ground boards, gluing circles to ground boards, and cut windows in the rocker bottoms for viewing the scale. In retrospect, it would have been more convenient if we’d made the azimuth circle adjustable, for aligning it on zero, but it is certainly workable. The altitude indicator was a lot easier; we didn't make them, we bought them. Larger hardware stores (like Harbor Freight) sell angle indicators (inclinometers), large dials with pointers to indicate the angle at which the base of the thing is tilted. They are equipped with magnets on their bases, and it was easy to mount ferrous metal plates to the “top” truss tubes of the scopes for attachment of the level. I later went on to a supposedly more better gooder solution with an electronic level indicator (also from Harbor Freight), but the thing used button cell batteries at an alarming rate, and I went back back to the original, simple, plastic, unpowered dial indicator. What was the catch I mentioned above? Getting the alt-az coordinates for objects. Obviously, as objects move across the sky their alt-azimuth coordinates change—and surprisingly quickly. In the Stone Age of the early 1980s, we used programmable HP calculators to get alts and azes. Input an object name or an R.A. and declination and the calculator spat out altitude and azimuth for the current time. That worked, but those calculators were not exactly user friendly or inexpensive. A little later, PC programs (for MS-DOS) appeared that would give you altitude and azimuth coordinates of objects. Today, almost any planetarium program for Windows or Mac will do the same. That’s not the perfect solution, though; that came about 15 years ago. Beginning with PDAs (Palm Pilots) and continuing on to smart phones, we now have hand held devices that will display the current altitudes and azimuths of thousands of objects. A couple of nights after my initial foray, I gave the circles a go from the backyard. On this night, a big, fat Moon (sorry Diana) would likely make finding objects via the Quick Finder difficult, so I set up the scope with the circles in mind. That meant I leveled the telescope. If the scope base is not close to level, objects will be farther and farther “off” as you approach the zenith. When I am using the circles, the 8-inch sits on a little plywood platform with screw in/out furniture sliders in the corners. After you are level, step two is calibrating the azimuth circle (altitude does not require any calibration). Point the scope at Polaris, and with it in the center of the eyepiece field, set the azimuth circle to zero. That’s where having a movable azimuth circle would be helpful. Instead, I set the scope to zero azimuth and nudge the base till the star is centered in the eyepiece without moving the azimuth pointer off zero. Not a big deal, really. Alrighty, then. First object was M3, spring’s primo globular star cluster, which is located in a fairly star poor area. It’s always been hard for me to find, and that was made worse on this night because the area to the east-northeast is in the Airport Boulevard light dome. I dug my iPhone out of my pocket, brought up Celestron’s SkyPortal app (a free, basic version of SkySafari), hit search, entered “M3,” and requested “Info.” That got me the current altitude and azimuth of the glob. I exercised reasonable care in moving the scope till the pointers were on the indicated coordinates. Be particularly scrupulous with azimuth. With the circle on the base, beware of parallax effects if you are not looking straight down at the pointer. The closer you get it to the indicated azimuth, the better your results will be, natch. I inserted the 16mm Zhumell, focused up and had a look. At first there was no sign of M3, but a little staring brought it out. It was not centered, but was in the eyepiece; out toward the edge of the field. In the fairly bright sky background delivered by a 62x eyepiece, it was a little less than obvious. While it had taken a minute or two to look the cluster up on my phone, I was pretty sure it would have taken longer to find using the Quick Finder. In the next half-hour or so, I did M36, M37, M38, M81, M82, M35, M65, M66, and, eventually, even M51, which was somewhat out of the light dome by the time I went after it. There was no doubt in my mind the analog circles were a time saver under poor conditions. Was everything in the field of the 16mm when I stopped? No. Probably because I wasn't always careful enough with positioning the scope. Still, whatever I wanted was always just outside the eyepiece field and quickly swept up. One thing that would have helped the circles would have been a lower power, wider field finding eyepiece. But the catch is that in the sorts of circumstances where I’d need to use setting circles—an overly bright sky—lower power can make seeing objects difficult even if they are in the field. Really, the only question concerning the Dob’s circles was “Do I really want to use them?” Would that be true to my desire for “simpler”? I decided they (or even the set of Sky Commander DSCs as on my 12-inch) would be. At times. 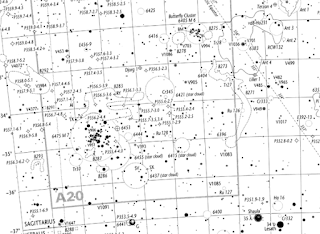 A big attraction of my new observing mode is the relaxing experience of cruising the stars with a chart and a finder. With a Moon in the sky and no optical finder on the scope, however, that can be more frustrating than relaxing. I’ll use the circles when I need them. What next? One thing that may be next is a 10-inch Dobsonian. Chinese Dobs in that aperture are surprisingly inexpensive today, and one would give me a little extra oomph in my compromised backyard. And do that while not being nearly as much of a pain to set up as my 12-inch. Stay tuned. As for my visual observing agenda, I have a couple of reasonably serious projects in mind that I can execute both from the back 40 with the 8-inch or the proposed 10-inch, and from the club dark site with the 12-inch (sometimes, anyway). I am still feeling my way with this y’all, but I feel good, as if I have found a new lease on (observing) life. 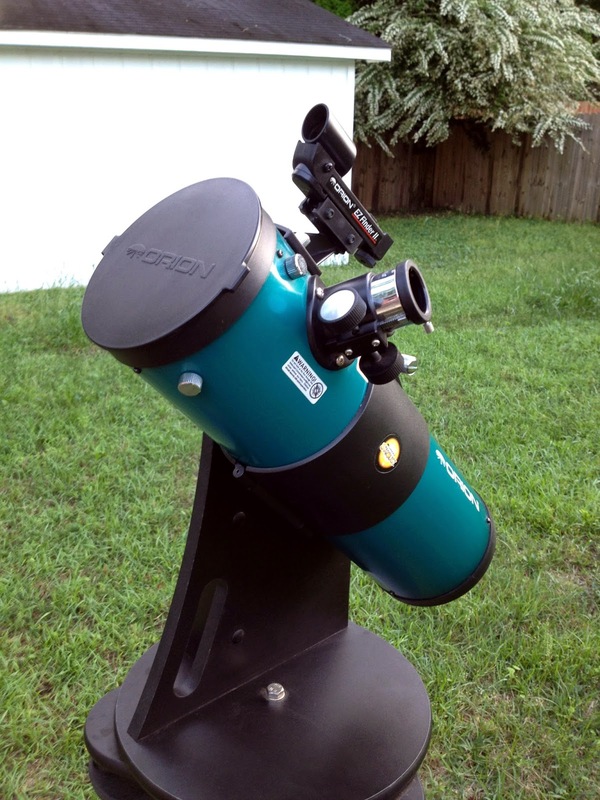 There is no denying that in this day of monster telescopes, when almost every amateur at least aspires to owning a 25-inch Dobsonian or a C14 Schmidt Cassegrain, a 4-inch telescope is a small telescope. A 4-inch telescope can still be a useful telescope, however. 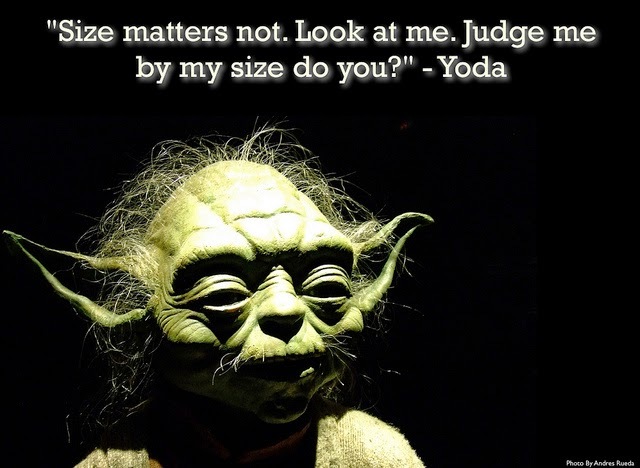 It's not that, as my Jedi Master asserts, “Size matters not!” but there are things that matter more than size sometimes. 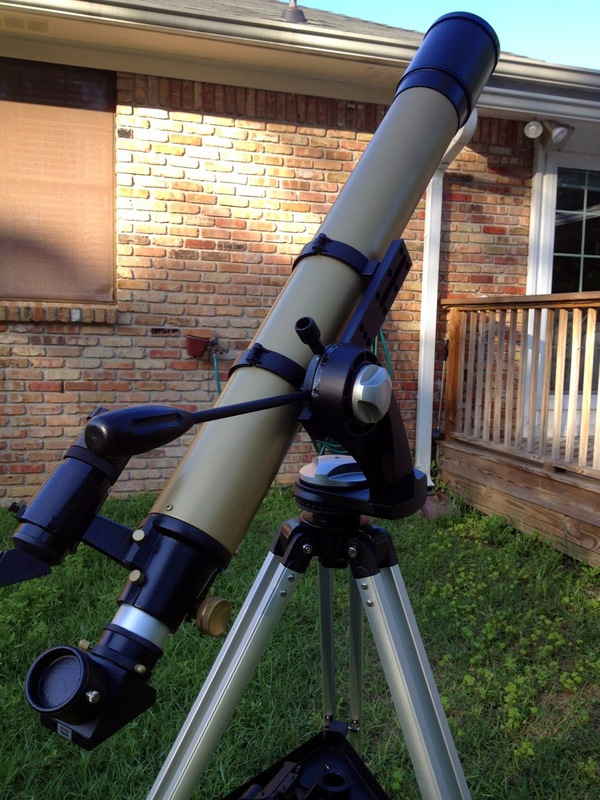 In truth, choosing a telescope for use in the backyard is a battle. A battle between what you are willing to set up and what you’d like to look through. It is the telescopic equivalent of the life of a giant star, which pits radiation pressure against gravity. When the star gets old, gravity wins out. As you get older, you may find a smaller scope wins out because of gravity. Take me for example. I am probably luckier than some of you—maybe many of you—in that I have a backyard with a zenith limiting magnitude of about 5.0 on a good night. That is better than what a lot of amateurs put up with at home, yes, but it’s usually not good enough to inspire me to drag out the 12-inch truss-tube Dobbie or my C11. If I had to depend only on those scopes, I’d probably never observe from home. Luckily I have several four inch telescopes. Actually, I have four of them. They seem to be multiplying like rabbits. 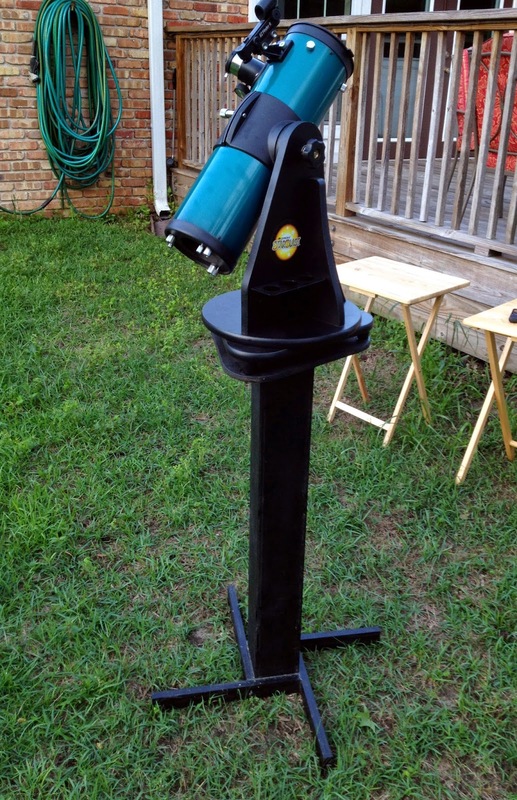 There’s the Celestron C102 f/10 achromatic refractor, the Explore Scientific f/6.5 4-inch achromat, my old f/10 4.25-inch Edmund Scientific GEM Newtonian, and the StarBlast 4-inch f/4 mini-Dobsonian reflector. It’s an embarrassment of riches, with my only problem being deciding which is most effective in my backyard. That is what we are here to determine this Sunday morning. I eliminated two from the running almost immediately. I love my Palomar Junior. It wasn't my first telescope, but it was my first good telescope, and was the telescope that kept me in astronomy. Unfortunately, while its optics (an f/10 spherical primary) are surprisingly good, the scope is a pain to lug around. Couple its long tube with a surprisingly heavy and shaky 1960s style German equatorial mount, and the scope is most assuredly not my choice for spur of the moment looks at the Moon during commercials in Arrow. Then there’s (Dorothy's) Explore Scientific refractor. It could easily be a contender. At f/6.5, it is kinder to any mount than the C102 is. Yes, at that focal ratio there’s going to be plenty of color, but at a recent public outreach session I was surprised by how little purple I saw on the Moon. Still, the scope isn't much more portable than the C102, and I believed the C102's higher focal ratio might be best for the general purpose observing I do out back. Finally, there’s the StarBlast, Orion’s (Synta’s, actually) powerhouse of a tiny Dobsonian. It is as portable as portable can be, even given that unless you are the size of GI Joe or Barbie you are going to need a table or something else to place the little thing on. It’s given me superb views of large deep sky objects. Particularly noteworthy were the looks I had of the North America Nebula and the California Nebula with it at the Deep South Regional Star Gaze one year. However, there was no way I’d be seeing those big, dim clouds from my back 40. Might the scope's fast focal ratio actually be a handicap there? Maybe, but its uber-portability won it a slot in what was developing into a shootout. So, the contenders would be Amelia, the C102 refractor, and Yoda, the StarBlast (named that for obvious reasons). Yes, the scopes are as different as apples and oranges. A long focal length achromat and a fast neo-Dobsonian. But I didn't care. 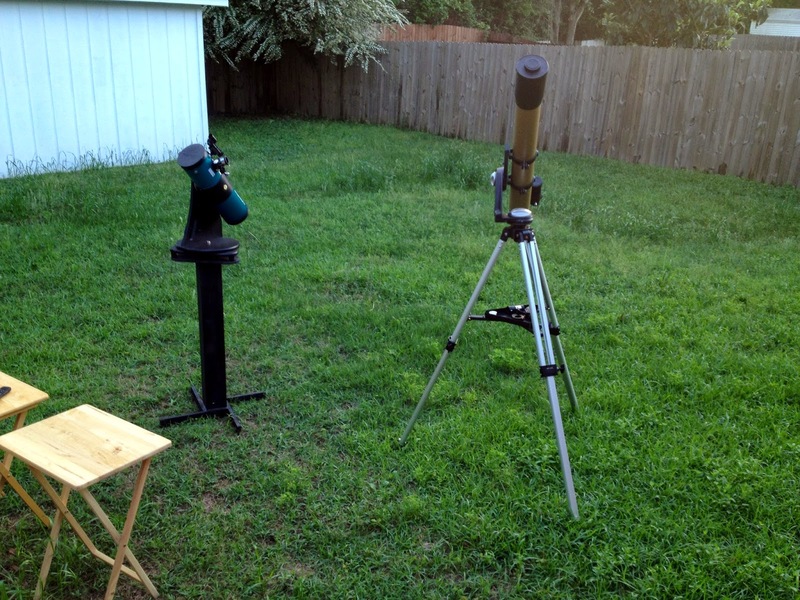 I was simply interested in which of these two telescopes would be best for the most casual of my backyard observing. Hard as it is for me to believe, the StarBlast first came to me nearly eleven years ago. I wasn't out to buy one of the micro-dobs that summer of 2004, but I had heard quite a bit about the StarBlast at the Internet hangouts where amateur astronomers talked telescopes then—and now—the Yahoogroups and Cloudy Nights. It seemed the fast little Newt was making plentiful converts and garnering numerous thumbs-up reviews from respected observers. Still, I wasn't in the market for one. Until the kindness of Herb York (Anacortes Telescope and Wild Bird) caused me to find myself in possession of a gift certificate from AT&WB. What to get? One thing I needed back then, desperately, since I was a resident of our city’s downtown Garden District, was a portable grab and go scope. One light enough that I could easily move it around to dodge streetlights and trees, but with more aperture than the Short Tube 80 refractor I had been using in that role. Anacortes was an Orion dealer and stocked the StarBlast. What to do with that gift certificate seemed obvious. What I pulled out of the box when the Yoda arrived, and what you will find when you order a StarBlast today, are the same. The only difference I know of is that the price of the scope, just over 200 bucks, is actually slightly lower than it was when I bought Yoda. Otherwise, you get a cute little f/4 reflector with a (very) green metal-flake tube on a small particle board Dobsonian mount. The mount is a single arm affair, but the altitude axis has adjustable tension and ball a bearing race and the azimuth axis has Teflon pads ensuring the thing works pretty well. The scope’s fittings are OK and about what you’d expect at this level. The 1.25-inch rack and pinion focuser has a metal drawtube and mechanism, but a plastic base. It works smoothly, however, and has never been a problem in a decade of use. The secondary is collimated with allen screws, which is a pain, but holds collimation pretty well. The center-dotted primary is adjusted by means of bolts and is secured with locks. Unfortunately, locking the mirror down will change collimation slightly, so you sorta have to collimate with the locking bolts as well. Not a big deal. Accessories? Two Kellners, which are just about useless for such a fast scope. One of those little collimation caps that ship with many Chinese Newtonians, and which is also pretty useless for a low focal ratio Newt. One of Orion’s humble plastic “BB gun” red dot finders that nevertheless works. A so-so manual. That is it. The Celestron C102 is officially only available at present as the Omni XLT 102 with a CG4 mount for 419.00, about twice the price of the StarBlast. You do get a lot for your money, however, including a mount that is useful for a variety of medium-small OTAs. That’s not necessarily the best way to get a C102, though. Celestron has been selling these 4-inch achromats since forever. Since the 1990s in their current Synta-made form, anyhow. They remain unchanged today save for cosmetic “improvements” like snazzier paint-jobs and more modern looking fittings (on some OTAs). Thank goodness the optics have remained outstanding. But the point is they have made so many of them that they are cheap and they are plentiful used. AND…that’s not all. At least one major dealer has C102 sales, seemingly yearly, which allow you to glom onto one of the OTAs (no mount) for less than 100 dollars (!). Lucky me didn't even have to pay that. My good friend and fellow amateur, Pat Rochford, had a C102 he wasn't using. He thought the scope, which he'd repainted a cool brass color and outfitted with brass focus knobs, would look good in the living room of our new home, and gave it to me as a house-warming gift last spring. It did look good in the living room, but I soon found it was even better in a dark backyard. A C102 of any vintage is a pretty plain Jane proposition. Long steel tube. Non-adjustable objective cell. Decent rack and pinion focuser (a 2-incher, yay!). Synta’s standard finder mount. My 102 came with the once-standard 30mm finder. I immediately replaced it with a red dot job and a 50mm RACI finder I got from Orion, which I alternate depending on my mood and what I am using the scope for. While the C102 is sweet on a CG5 class mount, I’ve got mine on my SkyWatcher AZ-4 alt-azimuth rig. I like “point and shoot” these days, and while the long and surprisingly heavy tube is a bit much for the mount, the portability makes everything OK. It’s all of 2-minutes work to get the scope, Amelia, out of the Sun Room and onto the deck or into the backyard. Time to get set up. I could have placed Yoda on the table on the deck, which would have been workable if not overly comfortable—I’d have to rearrange when going from one side of the sky to the other—but I wanted him in the yard to get the best view to the east, which is somewhat blocked by trees. What I put him on was the wooden "StarBlast Stand" Pat and I built years ago. It’s not great in grass, but it is OK. I have used the ‘Blast on the AZ-4 mount via a set of (overpriced) tube rings I got from Orion, but Amelia would be using the AZ-4, so it was unavailable. With the two four-inchers set up side by side I waited for darkness, fidgeting more than a little, since it was obvious haze was building in advance of clouds. In the end, we only had time for four objects, but I gave the scopes plenty of time on each of them, and the four I chose were rather telling. Yoda was first. I inserted the 7mm Uwan 82-degree ocular, lined up Venus with the little scope’s red dot finder, and had a look. My initial impression was “DARN! THAT IS BRIGHT!” Venus wasn't just bright at 64x; what the planet looked like was a chromed BB sitting in the Sun. Of course there was no spurious color, but the image was too overwhelmed by glare for me to say I was getting a good view. I could have rounded up a colored filter, but the other problem was that the planet, in its gibbous phase, was just too small. I ducked inside and returned with 2x and 3x 1.25-inch Barlows. The 2x, an Orion Shorty, made things somewhat better. The planet was bigger, and while still a mite bright, was bearable. I don't normally expect detail on Venus—once in all my years of observing it I've seen the ashen light, and only a few times have I spotted darkish markings through filters—but I want there to be the possibility of seeing detail if it is there to be seen. In my judgment, I still needed more power. In went the 3x Barlow an Owl Astronomy Products Barlow I've had for a while, which, coupled with the 7mm, yielded close to 200x. That made Cynthia bigger, but not necessarily better, I thought. Two things were obvious: the seeing, while OK, was not perfect, and 200x was pushing Yoda. With Venus now descending, the planet was shimmering like hell. But more than that, the disk was slightly soft at 200x. This is an inexpensive f/4 scope, and there is only so much you can expect. Don’t get me wrong, though, the StarBlast did a creditable job. Now it was Amelia’s turn on what is the most daunting target for any refractor. No point in fooling around. I’d start out at 145x with the 7mm Uwan barefoot in the Intes 2-inch diagonal. “Hmm. Well, that’s a little surprising.” I had to admit that at medium power the planet looked surprisingly good in the C102. Dare I say it? Better than in the Newtonian. There was purple, but it was a purple haze (sorry, Jimi) that surrounded the planet but did not much impinge on the disk. Venus herself was sharp and clear, and if there'd been detail to see, I believe she'd have given it up. Chromatic aberration tends to get worse with magnification, but I didn't stint there, going to the 2x Shorty. At almost 300x, the planet held up well. Full dark was now upon us, and the King of the Planets was sailing high overhead. Back to Yoda with the 7mm and the 2x Shorty. I didn't bother with just the eyepiece, since I knew the 64x that would produce would be way too little power. For detail, you start with 200x on Jupe. To begin, we’d see what the ‘Blast would do at 128x. What the little scope did was impressive. Plenty of banding, though not much detail in the bands. The Galileans were looking a little like amoebas chugging along as the seeing suddenly began to degrade, but, yes, Jupiter looked good, with its color a slightly creamy hue that looked very good and appropriate to me. However, 128x isn't enough to see Jupiter's features easily. The human eye has an easier time with “bigger,” and even an experienced Jupiter hand will detect more with higher powers. I swapped out the Orion Shorty for the 3x, and had a look. Again, I had to admit that for the planets, anyhow, 192x was pushing it with the little green guy. I could make out more detail, but not much more. The planet was not nearly as sharp as it had been at the lower power (I'd collimated the scope that very afternoon and gave her an hour to cool). The C102 began at 145x as before. Everything that had been visible with the StarBlast was visible with the C102. And then some. After just a moment of looking, I picked up the Great Red Spot, which was near to transiting the Meridian. Even in seeing that was now decidedly less than good, I could make out its current pale orange color, too. Back on the Starblast, I found I could detect the spot now that I knew it was there, but it was not easy. At 290x with Amelia? I saw more than I did at the lower magnification, which is the true test of whether your scope is “taking” more power or delivering Empty Magnification. Single down-check? In the achromat, particularly at higher powers, the image looked more yellowish than in the reflector at comparable magnifications. I thought we'd essay a couple of DSOs before the sky went totally punk, which I could tell it was on its way to doing. 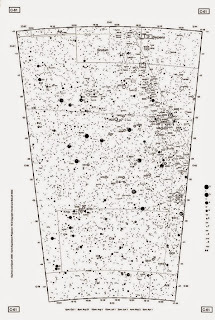 I had a look at a chart generated by Cartes du Ciel on my netbook, which seemed to be an appropriately simple computer to use with these simple telescopes, and pinned down the exact position of Gemini’s best open cluster, M35. What do amateurs, particularly refractor loving amateurs like to say? That stars always look better—tighter and tinier—in a refractor. So, they ought to look like fuzzy ping-pong balls in a small aperture fast reflector, then? Nope. At both 64x and 128x, the stars of this gorgeous cluster looked very good in Yoda. When I switched over to the refractor (I used a 16mm Uwan in the C102 to come close to the reflector’s lower power) the stars looked good, too. They were certainly, nice, hard points, but better than in the StarBlast? Actually, no. What did I note? The contrast was markedly better in the refractor. It wasn't night and day, but there was clearly a difference. Anyway, not surprisingly, with M35 getting low neither scope showed a hint of its more distant companion cluster, NGC 2158. Messier 3, Canes Venatici's great globular star cluster, the premier glob of springtime, has always been a finding demon for me. Do I approach from the Bootes side or the Coma side? Either way, I generally fumble around for a while before I get the big ball of stars in the field. Same old story on this night despite the 16mm Uwan's big field in Yoda. When I finally had the glob, I upped the magnification to 128x and took a look. Not bad, not bad at all. The cluster was at least a little more than a round fuzzy spot (it was quite a ways down in the Airport Boulevard light dome, so I didn't expect too much). There was an obvious core, surrounded by a dimmer halo. However, that’s all it was: fuzzy core surrounded by fuzzy halo. There was some graininess, but not a hint of resolution. In Amelia at 145x, the view was admittedly more the same than different. However, there was more of that graininess, and after staring for quite some time, using averted vision, jiggling the scope, and using the other tricks I know, I convinced myself I occasionally picked up a star or two. The bottom line was that the image was better in the refractor than in the reflector. And it was considerably better than the slightly higher power of the refractor would account for. M3 was our last object, with the sky suddenly closing down with a resounding thud. Inside, after taking maybe ten minutes to put both scopes put to bed, I pondered. The beauty of Yoda is that he is so portable. Even when I have to use his little stand. Heck, he’s more portable than the C102 even when he is on the AZ-4. He’s lighter, and his short little tube makes it easier to maneuver the rig through doorways. That’s the extent of his advantage in the suburbs, unfortunately. Out in dark country, the StarBlast can provide striking wide-field views (though not as good as those of the 4-inch Explore Scientific in my opinion), but wide-field performance is not a factor in judging a scope for use in my backyard. So why is this? Is it because of optical quality? No, not really. The C102's objective throws up a good star test, but the StarBlast’s parabolic primary isn't bad, either. Touch of turned-down edge, perhaps, but only a touch. The bottom line is that the f/10 focal ratio of the C102 is just more versatile. With a 4-inch objective at f/10, I can still get to powers as low as I need in my suburban sky. And it is easy to reach higher magnifications without resorting to high power Barlows and uncomfortably short focal length eyepiece. In truth, that's the main fault of the StarBlast: it’s just too difficult to get it above 150x. It was not just that is was easier to get higher magnifications with the refractor, though. Amelia took higher power more willingly. At 200x, the StarBlast was pushing hard; at the same magnification, the refractor was just getting started.